Fresh fruit infused water, often referred to as aguas frescas, is a refreshing and light non-alcoholic summer drink that is easy to make. Slice up some fruit, add some veggies or herbs, place it in a pitcher, add cold water, and chill for a few hours. 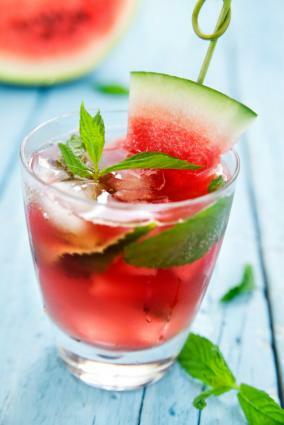 Pour over ice, garnish with a piece of fruit, and enjoy. Place all fruits and vegetables in a glass pitcher. Allow to infuse for two hours before serving over ice. Place mint and orange slices in a pitcher. Infuse for two hours in the refrigerator. Serve garnished with an orange slice and a sprig of mint. Place melon and cucumber in a glass pitcher. Allow to rest, refrigerated, for two hours. Garnish with melon balls skewered on a swizzle stick. Pour water over melon and basil. 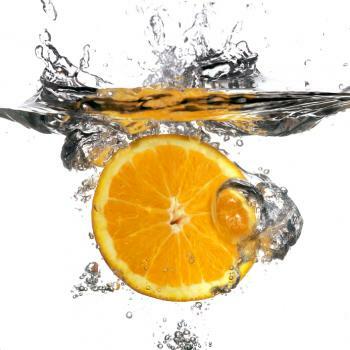 Pour water over citrus fruits and cilantro. Garnish with an orange slice and sprig of cilantro. Pour water over the lemons and lavender. 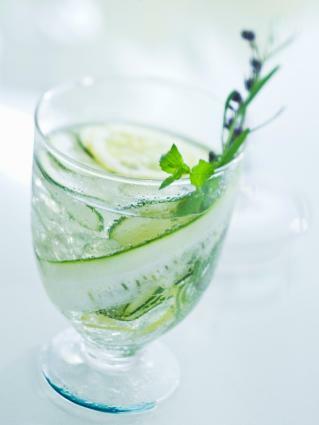 Serve over ice, garnished with a sprig of lavender. In a small saucepan, bring sugar and water to a boil over medium heat. Reduce heat to simmer and allow syrup to simmer about three minutes, until the sugar is dissolved and the liquid is slightly thickened. Remove the syrup from heat and allow to cool fully. Place cooled syrup in a glass with mint leaves and chipotle and muddle the syrup and mint. 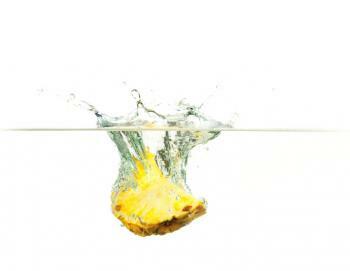 Place pineapple in a large glass pitcher and add the muddled syrup and water. Stir. Refrigerate for two hours. Stir again before serving over ice, garnished with a slice of pineapple and a sprig of mint. The variations on aguas frescas are virtually unlimited - your ability to make fruit infused waters is limited only by your imagination. The flavors can be as simple as a single fruit flavor, or can be made more complex by adding complementary fruit flavors. Mix together some fruit, herbs, vegetables, and even flowers to see what flavors you can create. 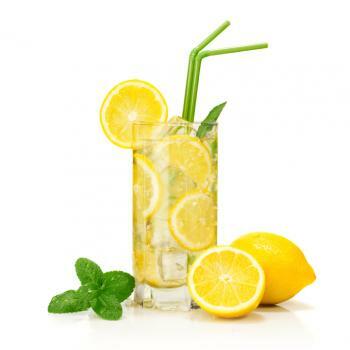 The drinks can be served either sweetened or unsweetened and can be made with still or sparkling water. Fruit infused water keeps in the refrigerator for several days. Make up a batch of fresh fruit infused waters for your next barbecue or party and serve it up with some gourmet seafood appetizers.